My initial idea was to buy a road legal track car that would be cheap and simple to maintain................famous last words. I decided a Locost style (build a sports car for £250) car was ticking all my boxes, so I started scanning Ebay, Pistonheads, Locostbuilders to find any 99% complete but needing a little work to finish type projects. I found an original Locost 7 live axle car built by Locost sports cars (now called Luego), it seemed to fit the bill exactly, all the right bits, road registered, 1600 Ford Crossflow on twin 40's, 2 weekends to finish etc......So I rushed to South Wales and bought it straight away for a measly £2000 and draged it back to my work unit for it to live there for the next 3 months. The only thing I did to it in this time was push it outside in the morning and inside in the evening, so much for 2 weekends work. After the three months my boss decided enough was enough and turfed the car out, meaning I had to tidy out my garage to make space for it. This although annoying did make me get my arse into gear and make a start on the rebuild, however my Idea of a rebuild involves taking the car apart and checking everything and also removing the original ERW (Electric-Resistance-Welded) roll hoop to allow a proper CDS (Cold Drawn Seamless) tube with a cross brace and back stays, this then led to problems with the seatbelt mounting points etc. Anyway to cut a long story short, the car ended up with a fully welded roll cage with Caterham style seatbelt bosses. I then hit another snag, the guy who fitted my roll cage had a 919 Honda Fireblade engine and loom lying around and he only wanted £600 for it, never being one to miss a bargain I snapped it up and he delivered it with the car. The Crossflow was sold on for £450 with the gearbox and carbs and the next job was to find someone with the knowledge to nail the Fireblade engine in for me. In the meantime I found a 1993 Westfield SEI narrow rolling chassis again in South Wales going for £3000, she looked to be a little faded but up together and me being me a deal was struck. So now I have 2 kit cars 1 engine and have never driven either of them! The Locost was advertised as a rolling chassis and sold within a week for £2000. Unfortunately the Fireblade engine turned out to be a duff so was returned for a refund and this leads me nicely to the Westfield build. 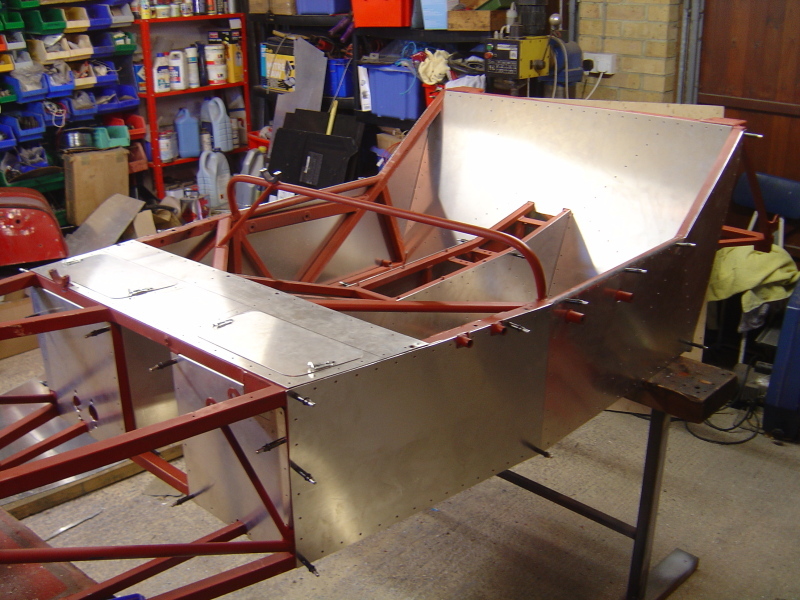 This is the Locost just before I sold it, as you can see the guy who built the cage did a fantastic job. The car was also in excellent condition, the only problem was the fact that it was never going to be worth much money no matter how much I spent on it, so it had to go!